Is there a better alternative to Remote Wake Up? Is Remote Wake Up really the best app in Network category? 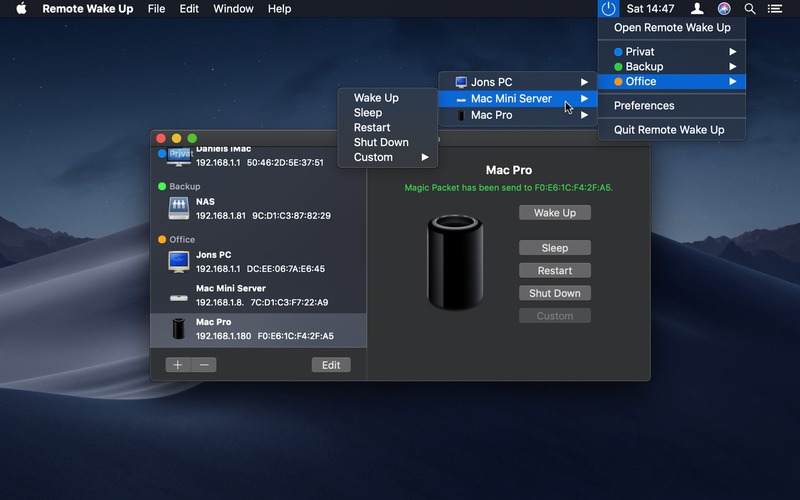 Will Remote Wake Up work good on macOS 10.13.4? Remote Wake Up is a tool that allows you to remotely switch on every Wake-on-LAN capable device. You can also wake up devices over the Internet. 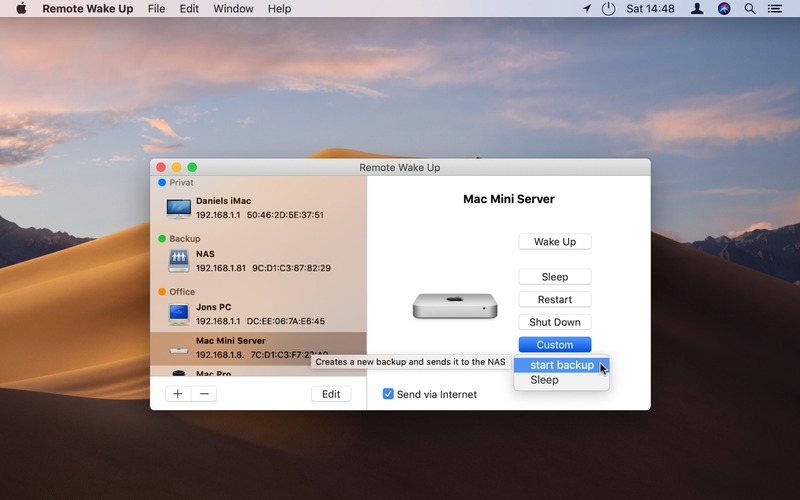 Additionally Remote Wake Up allows you to reboot, shut down and send other Macs to sleep. 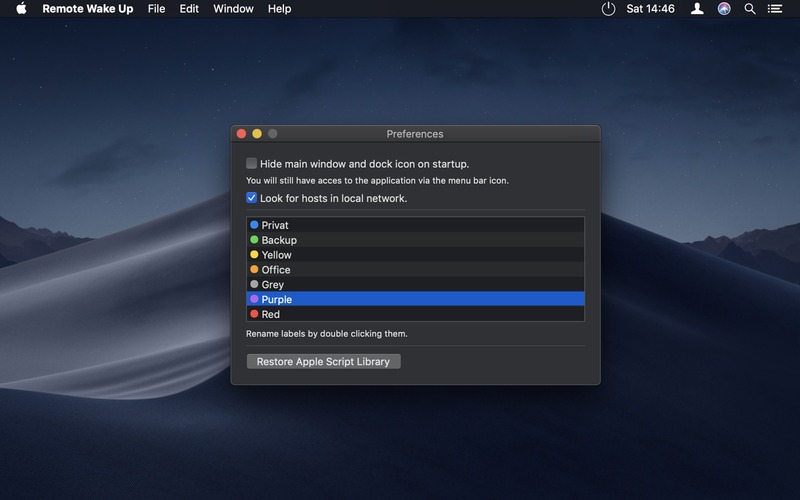 Do you have an Apple Script you'd like to execute on another Mac? 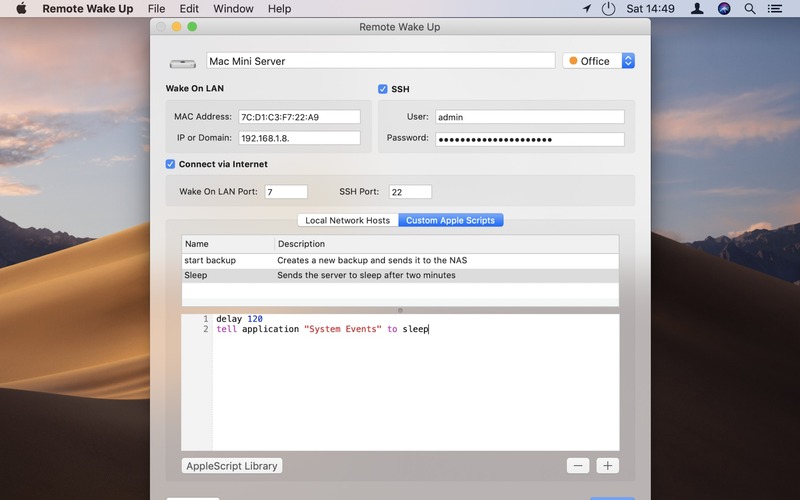 With Remote Wake Up you can, making it a powerful tool that is only limited by what you can do with AppleScript. 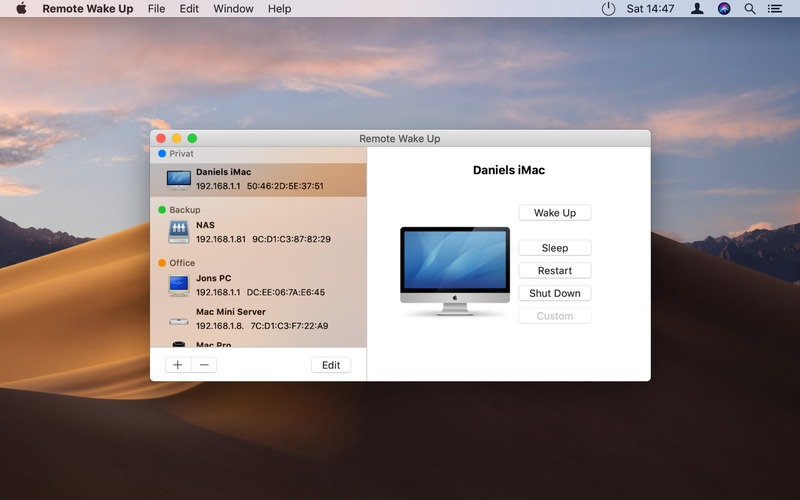 Remote Wake Up is now ready for macOS 10.14 Mojave, including dark mode support.